150. A valve motion for working steam expansively. 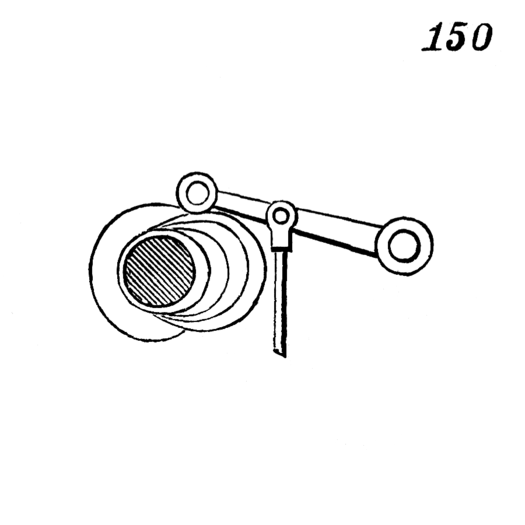 The series of cams of varying throw are movable lengthwise of the shaft so that either may be made to act upon the lever to which the valve-rod is connected. A greater or less movement of the valve is produced, according as a cam of greater or less throw is opposite the lever.